This should be required reading for everyone in management. 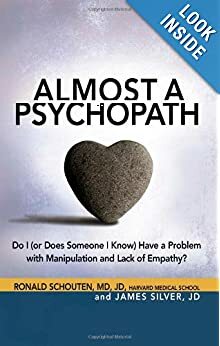 It would be interesting to see whether or not some would recognize themselves and change or recognize these traits in their corporate peers and act to prevent these almost psychopaths from reaching levels of authority that effect our workplace, our government, and our lives. I didn't do it, was nowhere near it, and you can't prove a thing. There is a book I have yet to read entitled, "Snakes in Suits" by Robert (I think?) Hare. It basically discusses that the way modern corporate structure is laid out, people with sociopathic behavior traits have an easy time moving up the ladder. A lack of empathy and the ability to use and discard people when necessary is a modern day asset in the business world.